Passing the Ohio written exam has never been easier. It's like having the answers before you take the test. The Ohio Bureau of Motor Vehicles (BMV) now allows you to schedule certain appointments ahead of time, so you can spend less time waiting in line and more time enjoying the Buckeye State. Keep reading for more information about the types of BMV appointments you can make, how to make them, and what you should bring to your BMV office visit. Keep in mind that you may be able to completely avoid a trip to the BMV by taking advantage of the online driver and vehicle services offered by the state. Use the BMV's online scheduling system. Contact your local Ohio BMV office. Call the BMV's Driver Exam Scheduling office phone number at (614) 995-5353. You can call between 7 a.m. and 5:30 p.m., Monday through Friday and between 8 a.m. and 1:45 p.m. on Saturdays. When you need to schedule your CDL road skills test, call the nearest CDL testing site. You may either choose to go directly through the Ohio BMV or through an approved third-party tester. Utilize the Ohio State Highway Patrol's online scheduling system. Contact the nearest inspection center by phone. 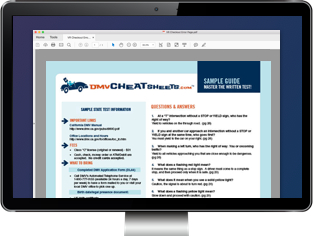 Save Time with DMV Cheat Sheets! Passing the DMV’s written exam has never been easier. Looking for DMV Appointments in another state?